How many times have you looked at the top of a soda can or the side of a bottle, and seen a 5- or 10-cent CRV stamp? Chances are you barely considered it. But for people who gather aluminum cans and plastic bottles, that CRV inscription means money. Enough money that smugglers have been caught trying to bring in more than $80,000 worth of empty beverage containers from Arizona and Nevada. 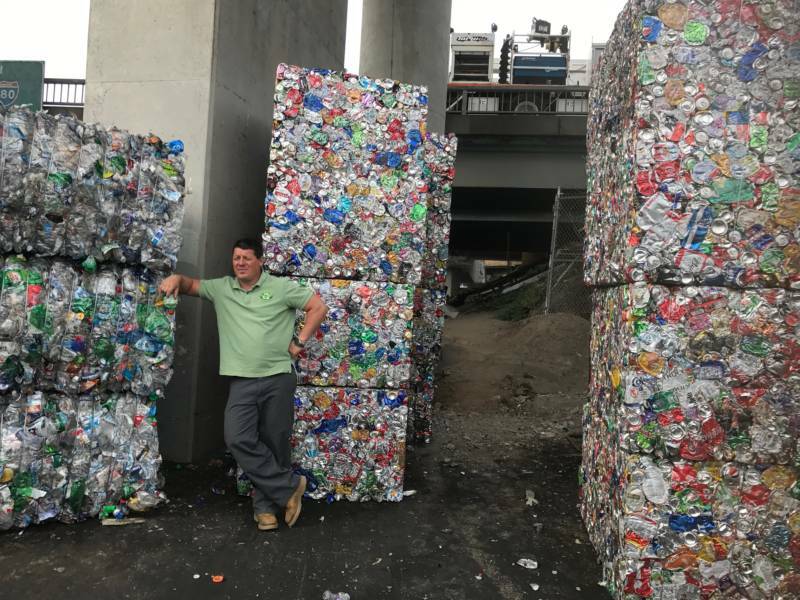 The value of recyclables piqued the interest of this week’s question asker, Boyd Arnold of San Francisco. In 2017, more than 18 billion aluminum, glass, PET and HDPE containers were recycled in California. 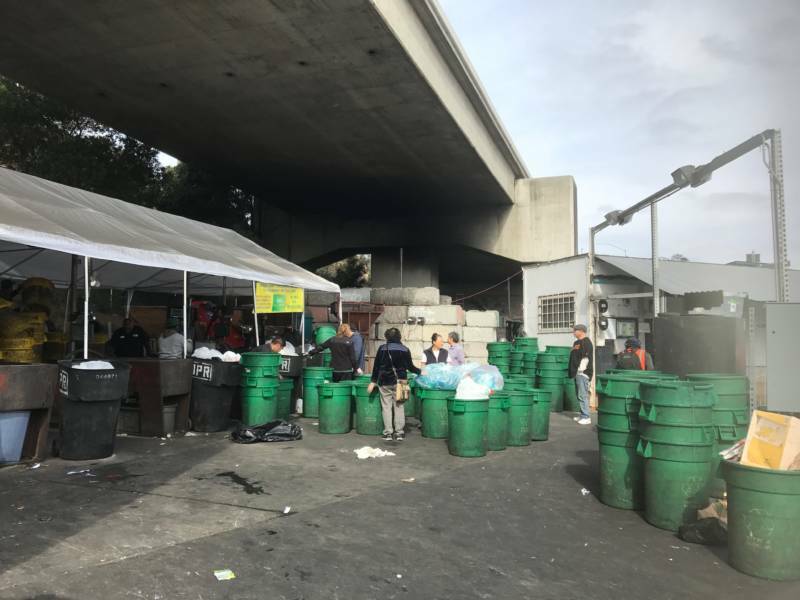 Every day, starting at 7:30 a.m., people line up at Our Planet Recycling on the edge of the Bayview district in San Francisco, pushing bins brimming with plastic bottles and aluminum cans. Many walk here on foot carrying what they can. One customer filled a beat-up RV from floor to ceiling with plastic. Others arrive with recyclables spilling out of sedans. 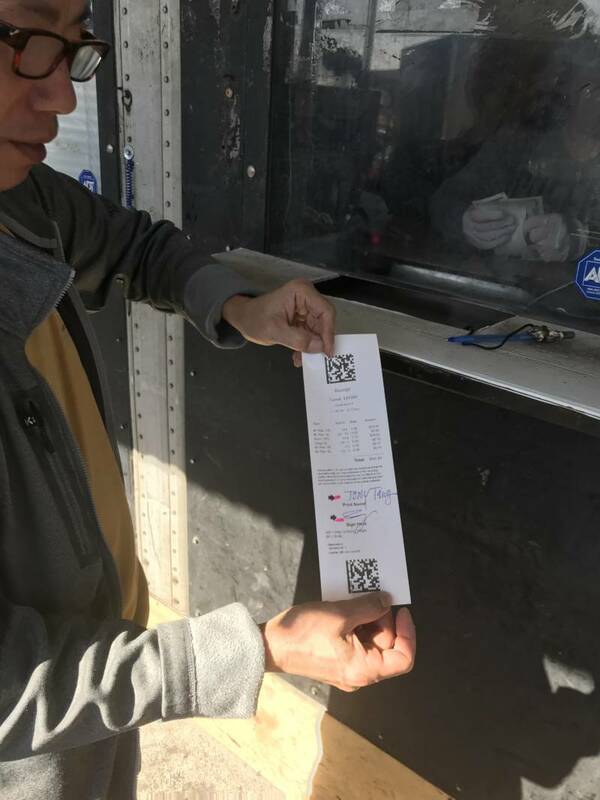 When customers get to the front of the line, their recyclables are weighed. A pound of plastic bottles gets you around $1.20. Aluminum is worth as much as $2 a pound. That might not sound like a lot, but it’s enough for a handful of customers to make this their full-time job. “This [has been] my work for a long time, more than 20 years,” says Darwin Laren. Laren has one of those pickup trucks that's been rigged with plywood or metal grating so he can haul more recyclables. Each day he visits about 10 different bars and restaurants around the city to pick up bottles and cans. Monday through Friday he earns about $150 to $160, and shares it with people who help him. A number of other customers are daily regulars, too. Willie Cobb comes to Our Planet Recycling every day, making about $10 each trip. He says it's a helpful addition to his Supplemental Security Income checks. “I go into neighborhoods and look in the dumpster,” says Cobb. People come to this center because, let’s face it, San Francisco is one of the most expensive cities in the U.S. and every cent can count. A handful of people I talked to have other jobs, like Tony Tang, who works for Kaiser Permanente. 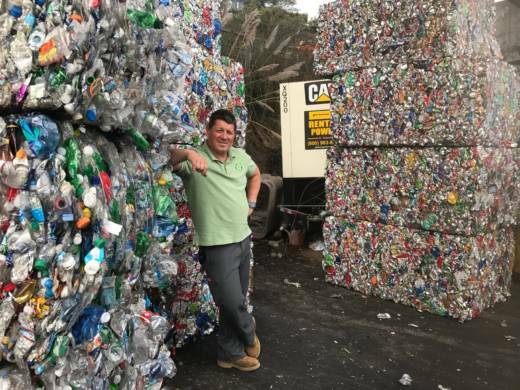 Tony saves his used containers and is always on the lookout for more -- even collecting empties from his friends and family. After three months, he collected seven bins the size of large garbage cans. This earns him about $44. All kinds of people gather recyclables. Workers here talk about people dropping off recyclables in nice cars and letting somebody else cash them in. There are janitors who bring in recyclables in bulk, and people who prowl the streets day and night looking for empties. While a few say they value recycling, or they see it as throwing money away if they don’t redeem the containers, most people come here because the extra cash makes a difference. Here’s a quick primer on how California Refund Value, or CRV, works. Let’s say you buy a can of soda at the store. You pay an extra 5 or 10 cents on top of the price of the soda that goes to the California Beverage Container Recycling Fund. It’s basically a pot of money from all the beverage distributors in the whole state. When you’re done with the soda, you can take that can to a recycling center and get your 5 or 10 cents back. If you put your soda can in the blue bin, whoever picks up your curbside recycling gets to keep that 5 or 10 cents. If that can never gets recycled, your money stays in the recycling fund and is used to subsidize the program. Centers like Our Planet Recycling make money by selling materials in bulk for their scrap value. Let's take a closer look at those values. “The average cost to recycle a ton of aluminum [in 2017] was about $550 a ton. The scrap value for that aluminum was around $1,200 per ton. That means a recycling center could make around $650 per ton,” says Mark Murray, executive director of Californians Against Waste. Murray says companies making aluminum cans realized it’s much cheaper to recycle aluminum than mine and process the raw material, bauxite. This leads to a higher recycling rate. The recycling process for glass takes a lot of energy. “Glass has what we call a negative scrap value," says Murray. "The average scrap value of a ton of glass in 2017 was negative $4.55." While it cost only around $100 to process glass at centers like Our Planet Recycling, they would still lose money on glass if it weren’t for subsidies from the state. The subsidies are funded by unclaimed money out of the California Beverage Container Recycling Fund. But because of the ways these subsidies are calculated, the state has been paying out less money in recent years. Most products can be recycled, but municipalities often lack the infrastructure to deal with certain items, like paper products coated in plastic, Styrofoam and other kinds of plastic. These “recyclables” often end up in landfill. There are a lot of different types of plastic, but we’re going to look at PET, or polyethylene terephthalate, which is often marked with a recycle symbol surrounding the number 1. In 2017, PET made up around half of the recyclable beverage containers sold in California. Plastic like PET can be sold for reuse. Buyers will bring it to a factory where it's cleaned, chopped, melted, turned into pellets and then made into something new. The recycling of plastic is also subsidized by the state. Additionally, when the price of oil plummets, like it did starting at the end of 2014, it becomes cheaper to make virgin plastic than to recycle, leading to declining scrap values of PET. Profit margins are not huge for recycling centers, which factored into the closing of hundreds of recycling centers in California in the last five years. In 1990 San Francisco had 35 recycling centers, “And other guys went out the business. Now I believe we have probably three, four or five left,” says Ors Csaszar, the CEO of Our Planet Recycling. Tight margins are exacerbated by the rising costs of the city. “This is a volume business. You have to have land. And you know how much rent is,” says Csaszar. It’s not easy to find a welcoming location either. Recently Csaszar had to move his business, and was concerned about finding a suitable site. Ultimately he found a lot under Highway 101 on Bayshore Boulevard. 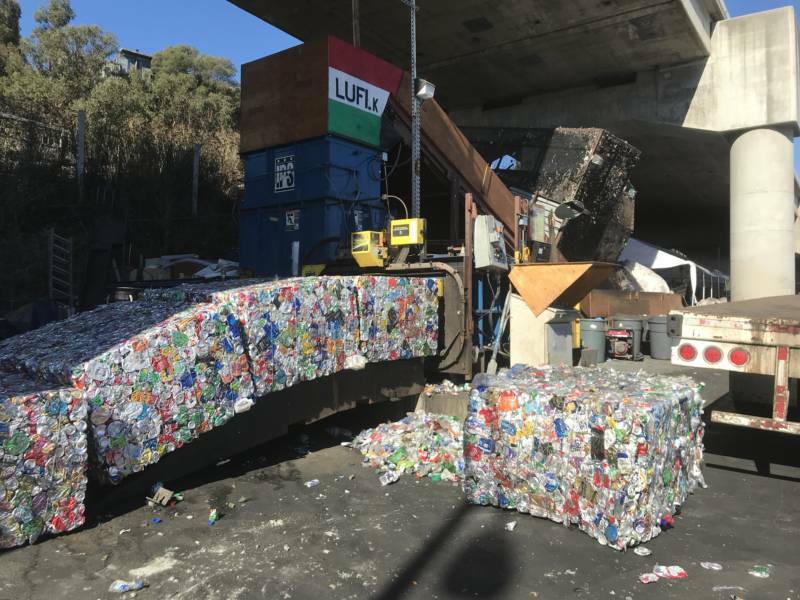 “San Francisco doesn't have too many recycling centers because everybody is open-minded about recycling as long as it's not close to their house,” says Csaszar. Murray says recycling center closures have contributed to a decrease in California's recycling rates. For beverage containers, CalReycycle reported it dropped from 85 percent in 2013 to a 75 percent recycle rate in 2017. Others, though, have attributed declining rates of recycling to a strong economy.